Homes are often treated as ongoing projects by their owners. That being the case, most homes tend to reflect the personalities of those who inhabit them. Details ranging from furniture styles and paint choices to appliance brands and cabinetry preferences communicate their tastes and lifestyle. And while quality and creativity are factors important to many homeowners, a few cheap home improvements go a long way towards elevating the overall appeal of a given space. Far too often, improving one’s dwelling is perceived as being either too labor intensive or cost prohibitive. The second of these is a misconception, many home improvement ideas can be realized on a modest budget. Replacing damaged or dated carpeting, if it proves necessary, can be a surprisingly inexpensive process. New carpet of decent quality can be purchased for under $10/square yard, while showrooms will often sell large enough remnant sections to cover medium-sized rooms. Installation can typically be handled in a do-it-yourself capacity or the bargain sources tend to provide inexpensive installing labor along with the material purchase. What is a house without ample light? We depend upon adequate lighting for clear visibility, but it also can be designed to accent and showcase certain household items. Home-buyers tend to simply inherit existing lighting schemes and fixtures from previous owners, or the home builder. This can leave the buyer with an unimaginative or, in other cases, wholly unsuitable lighting situation. Fortunately, a major change to your lighting setup can be achieved at minimal expense. Many major retailers offer low-cost, stylish fixtures, most can be easily installed by the buyer. This relatively small investment can dramatically enhance your home’s look and feel, both inside and out. 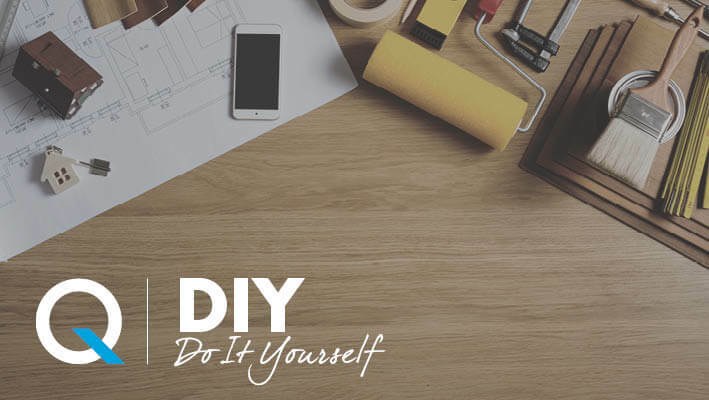 And if you are looking to challenge yourself creatively, you might consider a do-it-yourself idea or two which will help in reducing costs. Whether it’s the choice of paint, ornamental additions, window frames or landscaping the exterior of a home tells a story. There is almost always enough space to showcase a bit of gardening, a few potted plants, or some artful waterworks. Based on the time and energy you are willing to invest a landscaping vision can be accomplished in as little as two-three days. Hiring a professional landscaper might be unnecessary, as a $200 trip to your local hardware or home improvement store will leave you with sufficient materials to enrich your soil beds, line your walkways and create a simple garden. Trust in your creativity and save a good chunk of change when bringing life to your new outdoor oasis. Modern living tends to be an energy concentrated experience. Our homes, in particular, can be expensive to heat, to cool, and to power. For these reasons, energy efficiency is an increasingly high priority for homeowners across the United States. This brings us to the topic of windows. There are several layers of modern window technology. These include the panes, framing, and overall design. Individual components of a window determine its efficiency rating. Your windows may be well designed but need frame insulation to keep cool air inside and vice-versa. Better insulated windows offer financial savings that makes this investment worthwhile. A couple cans of paint have the potential to greatly alter a home’s aesthetic appeal. This almost goes without saying. Block off a day, select those rooms most in need of revitalizing and embrace the roller. Likely the least expensive of our recommendations, painting tends to be more an investment of time than of money. When choosing your paint color and finish it is important to consider the purpose of the paint. First is choosing a color. Find inspiration from the 2017 paint color of the year. Or use this little known secret, bring in a favorite piece of fabric; most paint stores will do color matching. Next in the paint buying experience is deciding on the finish. Gloss and semi-gloss are best for kitchens and bathrooms because the sheen will protect the paint from moisture. For some added design flare mix matte and gloss finishes. Have fun with your budget friendly home improvements!